Queens Real Estate Market Report May 2018, provided by the Queens Home Team at Keller Williams Realty Landmark II. Need help? Feel free to Contact Us anytime. We are two months into the second quarter of the year and what we’re seeing in April and May is similar to what we saw in the first quarter of the year (rising prices, low inventory, etc). Changes we’ve seen lately are a slight uptick in demand (expected in Spring season), a continued drop in year over year home sales, and an increase in number of homes for sale. As for month’s supply (the figure which measures supply and demand) it has actually been growing every month this year, and as it grows, the market will start to favor buyers more and more. At the moment, month’s supply is 5.9 months and this is considered to be a “balanced” market. So, right now demand seems to be flowing hand in hand with supply, however, closed sales are a lagging indicator of the market so if closed sales are down and pending sales are down as well, that can indicate that the market is shifting. Based on what we’ve been experiencing this year, it seems that this can very well be the case. For the last few years our company has been telling us about a shift in the market that will be coming and it is not so much a matter of if it will happen, but more so when it will happen. Real estate is cyclical so we know that at some point markets will always shift, and up until this year, it seemed that ours would never do so because it just continued on an upward trend that seemed never ending. One of the first signs of a shift are days on market and what we can tell you is that personally, our listings have definitely been staying on the market longer than they did in years past. We’re used to selling properties in one or two weeks, but ever since the interest rates started rising, it has taken longer to sell properties. We assume that this is due to a slight dip in buying power as well as buyers being pickier about homes now that there monthly payments are going up. If you are a buyer, now may be a good time to start making offers on properties and you may have a better chance of winning bids, especially if you are going for higher priced listings. As for sellers, now is a very good time to evaluate your plans for the future. If you’re thinking of selling in the next year or two, our advice would be to sell soon because the near term future does not look so promising. However, if you are able to stay in your home for the next 5, 10, or 15 years, then our suggestion would be to stay put. Obviously no one knows what will happen in the long term, but historically speaking you can always bet on the real estate market increasing over time. 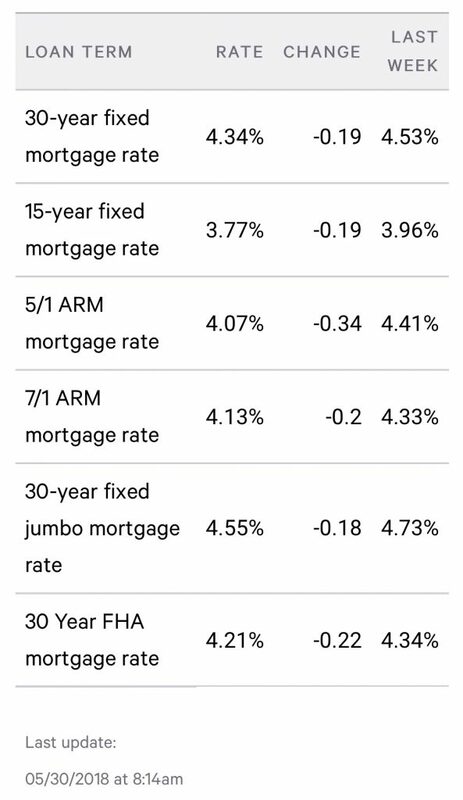 Based on what we’ve seen this year, we believe that we may finally see the market start to shift in favor of buyers, especially if rates continue to rise. The good news is that there will be good opportunities for buyers and investors if this happens, the bad news is that sellers unfortunately may not be able to get as much as they would like. We’ll continue to track the market and keep you posted as the year goes on. If you’re interested in what’s happening in your neighborhood, feel free to contact us anytime. then the absorption rate is 10/100 = 10%. The Long Island Board of Realtors reported Queens home sales at a rate of approximately 605 homes during the month of April. This was a decrease of 6.5 percent from March and a decrease of 1.8 percent from April of last year. Specifically, our Queens real estate market report May 2018 shows that Residential home sales were UP 8.8%, Queens Condo sales were DOWN 19.1%, and Queens Coop sales were DOWN 13.5% compared to April of last year. Over the last 12 months, Queens home sales are UP .3%. The median home price in Queens rose to $550,000 in April, this is an increase of 2.2 percent from March, and an increase of 16.9 percent compared to April of last year. The median home price has increased by approximately $79,500 since last year. Specifically, our Queens real estate market report May 2018 shows that Queens residential home prices are UP 5.6%, Queens Condo prices are UP 10.1%, and Queens Coop prices are UP 6.4% compared to April of last year. Over the last 12 months, the median home price in Queens is up 13.7%. There is currently a 5.9-month supply of housing inventory in Queens, this is up from the 5.4-month supply we had in March, and up from the 5.4 month supply we had in May of last year. There are currently 3,868 homes for sale in Queens. This is an increase of 3.1 percent compared to last month, and an increase of 8% compared to April of last year when there were 3,584 homes for sale in Queens.